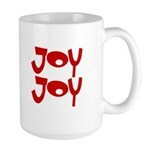 Oh, joy! 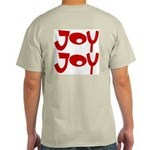 These shirts are full of retro-television goodness. 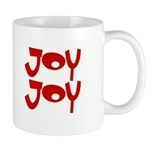 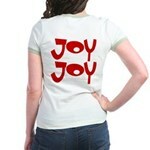 Do you remember the Happy Happy Joy Joy song? 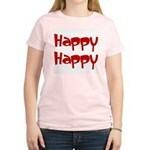 Here's a hint - the words are pretty simple (kinda have to be for Stimpy). 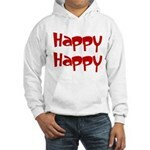 HHJJ! 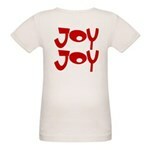 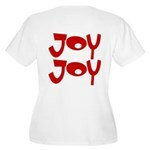 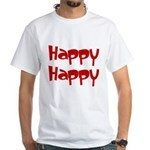 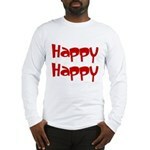 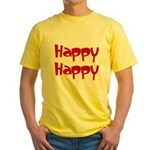 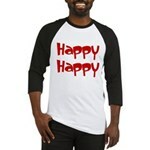 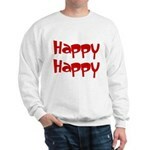 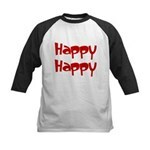 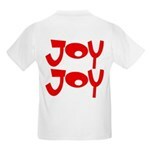 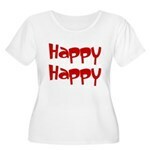 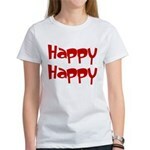 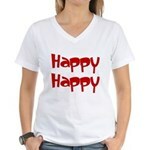 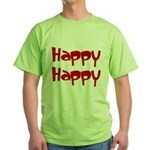 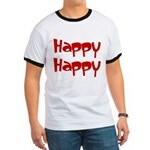 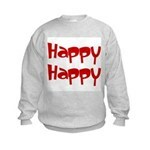 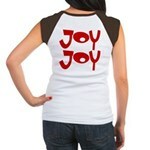 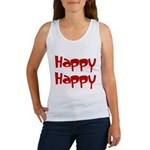 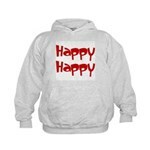 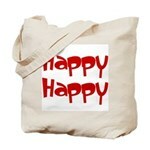 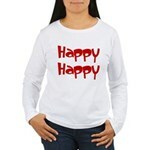 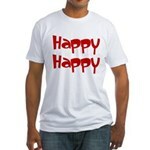 All products, including our funny t-shirts, have the text HAPPY HAPPY on the front and JOY JOY on the back. 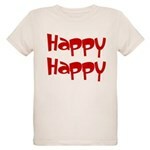 Great for fans of nostalgic cartoons and anyone that wants to spread happiness and joy.